The Conservatives want to make gains in Quebec in this fall's election and are recruiting local mayors to get them. The Conservatives want to pick up seats in Quebec in October's federal election and are lining up veterans of municipal politics to get them. The latest name added to that list is Robert Coutu, who was announced on Tuesday as the Conservative candidate in the riding of La Pointe-de-l'Île on the island of Montreal. Coutu, the mayor of Montréal-Est, will try to win the seat currently held by the Bloc Québécois. The Conservatives and their predecessor parties haven't won a seat on the island of Montreal since 1988. Most of those seats subsequently flipped over to the Bloc in 1993. It is no coincidence that Michel Gauthier, a former leader of the Bloc, was present for the announcement of Coutu's candidacy. The path to Conservative gains in Quebec runs, in part, through the sovereignist party. It also runs through territory swept by the right-of-centre Coalition Avenir Québec in last fall's provincial election. For Conservative Leader Andrew Scheer to target a seat on the island of Montreal is ambitious, as his party has long struggled to breakthrough into the suburbs surrounding the city, let alone on the island itself. But the CAQ accomplished the feat, making it the first small-c conservative party since 1976 to win seats there. Both of those seats are located within the boundaries of the federal riding of La Pointe-de-l'Île at the far eastern tip of the island. Nevertheless, Coutu has a supremely difficult task ahead of him. The Conservatives took just eight per cent of the vote in the riding in 2015 while the Bloc won it in a three-way race with the Liberals and the NDP. Mario Beaulieu, the incumbent Bloc MP, has some profile as the on-again, off-again leader of the beleaguered party. Only last week, he made way for Yves-François Blanchet, the latest occupant of that title. And while Coutu has some local renown, his appeal is likely to be somewhat limited. Montréal-Est is a small municipality of less than 4,000 in a riding of over 100,000 people. 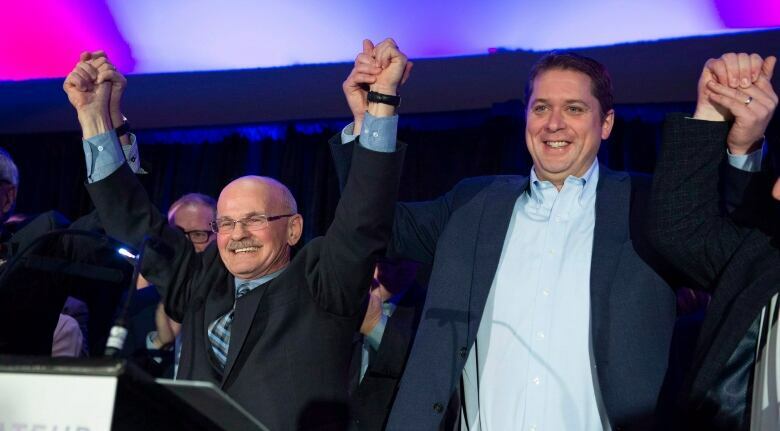 Coutu is one of a number of candidates the Conservatives have recruited to fill some of the credibility gaps that Scheer has in the province. Quebecers have a long history of preferring homegrown leaders over those from other provinces. In that regard, Scheer — who grew up in Ottawa and now represents a riding in Saskatchewan — will be the odd-man out on a debate stage that will include not only Blanchet and Prime Minister Justin Trudeau, but potentially People's Party Leader Maxime Bernier as well. For a party whose main pitch to Quebecers is that a Conservative government will respect provincial jurisdiction — Scheer has said he would be prepared to work with Premier François Legault on lowering immigration and having Quebecers file only one tax return to the provincial government — leaning on local champions might prove to be a winning strategy. The party has already drawn from that playbook. Alain Rayes, Scheer's Quebec lieutenant, picked-up the riding of Richmond–Arthabaska for the party in 2015 thanks in part to his profile as the former mayor of Victoriaville. Quebec MPs Luc Berthold and Bernard Généreux are also former mayors, while the party scored a stunning upset in the Chicoutimi–Le Fjord byelection last year on the strength of a strong local candidate. Richard Martel, who won the riding away from the Liberals, is a former coach of the Chicoutimi Saguenéens, a major junior hockey team. The Liberals have also used this strategy with success. 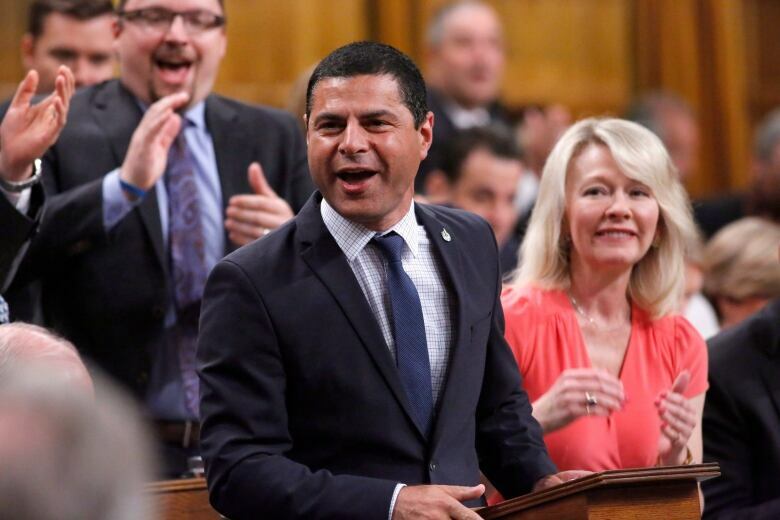 Ramez Ayoub, Anthony Housefather and Jean Rioux, all former Quebec mayors, were newly-elected for the Liberals in the 2015 federal election. More recently, the Liberals won the riding of Lac-Saint-Jean in a byelection in 2017 thanks to Richard Hébert, former mayor of Dolbeau-Mistassini. In 2015, the riding had been the Liberals' worst east of the Prairies. In addition to Coutu, the Conservatives have two mayors nominated in ridings they currently do not hold. Mario Provencher, who was the mayor of Rouyn-Noranda from 2009 to 2017, will carry the party banner in Abitibi–Témiscamingue. The CAQ holds one of the two provincial ridings that make up the federal district and came a close second in the other. Here again the Conservatives face an uphill climb — the party had just seven per cent of the vote in a riding won by the NDP's Christine Moore with 42 per cent in 2015. Provencher was also defeated in the 2017 municipal election, though he still managed 28 per cent support in the city of 42,000 people. But the most interesting candidacy might be Richard Lehoux's in the riding of Beauce. The Conservatives are focused on defeating Bernier in his own seat to nip his People's Party in the bud. Lehoux was the mayor of Saint-Elzéar from 1998 to 2017. Though the small town has a population of 2,400, Lehoux has also served as the president of the Fédération québécoise des municipalités, an organization representing small municipalities across the province. A poll conducted in November by Mainstreet Research found Lehoux ahead of Bernier with 38 to 35 per cent support, though the margin of error of the poll effectively put the race as a toss-up. There have also been persistent rumours that Yves Lévesque, long-time mayor of Trois-Rivières, would run for the Conservatives. Lévesque recently stepped down for health reasons, potentially putting a jump to the federal level on hold. But when Lévesque announced his departure, his spokesperson would not rule out a future run for federal office. Unlike some of these other ridings, the Conservatives have good prospects in Trois-Rivières. The party had 19 per cent support in the riding in 2015, putting it third in a four-way contest. The NDP's Robert Aubin won it with just 32 per cent of the vote. The CAQ also comfortably swept the three ridings that share territory with the federal seat. The Conservatives haven't limited their candidate search to mayor's offices — François Corriveau, a former MNA for the Action Démocratique du Québec, which merged with the CAQ in 2012, will take on the Bloc in the eastern Quebec riding of Manicouagan. Corriveau is the president of the junior hockey team Baie-Comeau Drakkar. François Desrochers, another former ADQ MNA, will run for the Conservatives in Mirabel, where the CAQ romped to victory in the fall. 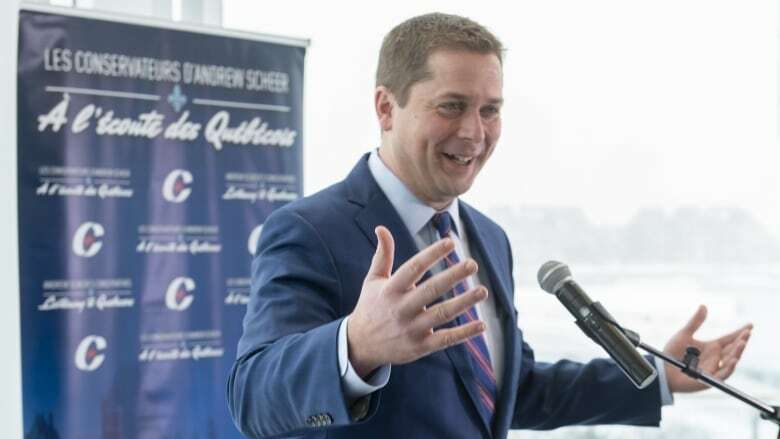 Scheer's Conservatives still lag behind the Liberals in Quebec by a significant margin in the polls. Barring a sudden case of Scheermanie sweeping the province, if the party is going to make gains it will have to be riding by riding. Recruiting reputable candidates with pre-existing local networks of support is a good place to start.